Washington's generals were split over what to do. Some wanted to attack the British, while others believed it was crazy to attack such a large army. It was eventually decided that a small force would attack Clinton's rear while waiting for the main body of the army to arrive. General Charles Lee was offered the command, but he refused, until Washington gave the command to the Marquis de Lafayette at which point Lee demanded control of the operation. Lee encountered the rear guard of Clinton's army, under Lieutenant General Charles Cornwallis, on the morning of June 28th near the Monmouth County, New Jersey, Courthouse. Lee gave inconsistent and unclear orders to his men and, after several hours of fighting, Lee ordered a retreat. Just then, Washington was coming up the road with the rest of the army. When he encountered Lee's fleeing troops, he was incredulous. When he came across Lee, Washington flew into a tirade and dismissed Lee for his incompetence in one of the few times we know of that Washington lost his temper. Lee was later court-martialed for his role in the affair. Washington rallied Lee's fleeing troops and blended them in with his own troops. The British made repeated attacks, but they were repelled every time. The day was so hot, with temperatures soaring over 100 degrees, that many dropped or even died, of heat exhaustion. This battle is the source of the Molly Pitcher legend, where she allegedly took her husband's place at the cannon when he fell from heat exhaustion. The Battle of Monmouth was the largest single day battle of the war with nearly 25,000 men involved. By nightfall, both sides were exhausted and the battle stopped. 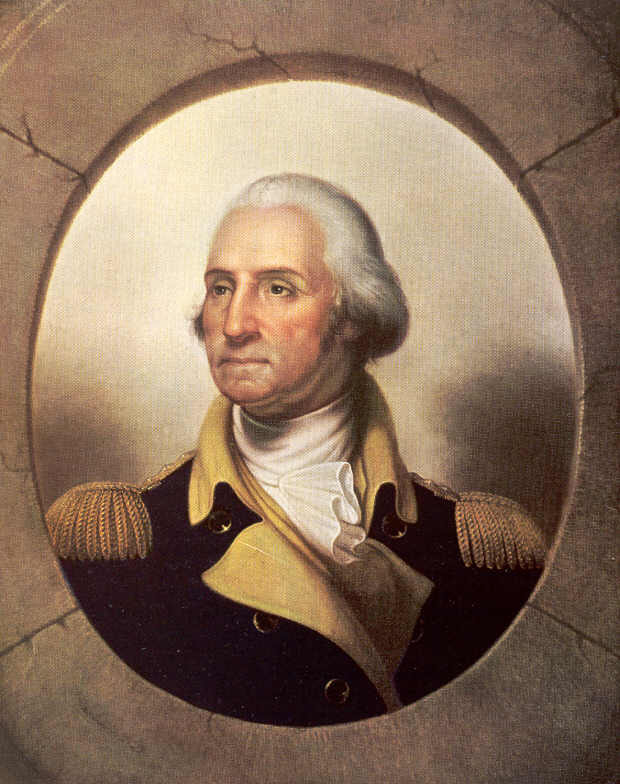 Washington expected to resume the fight in the morning, but the British had withdrawn in the night. This was the first pitched battle success of Washington's army in the war and it proved that the training at Valley Forge had worked. Up to 1100 British were killed or injured and around 500 Americans, making it one of the bloodiest battles of the entire war. The Battle of Monmouth was the last major battle of the Revolution in the north, as the British shifted their strategy to the southern colonies. 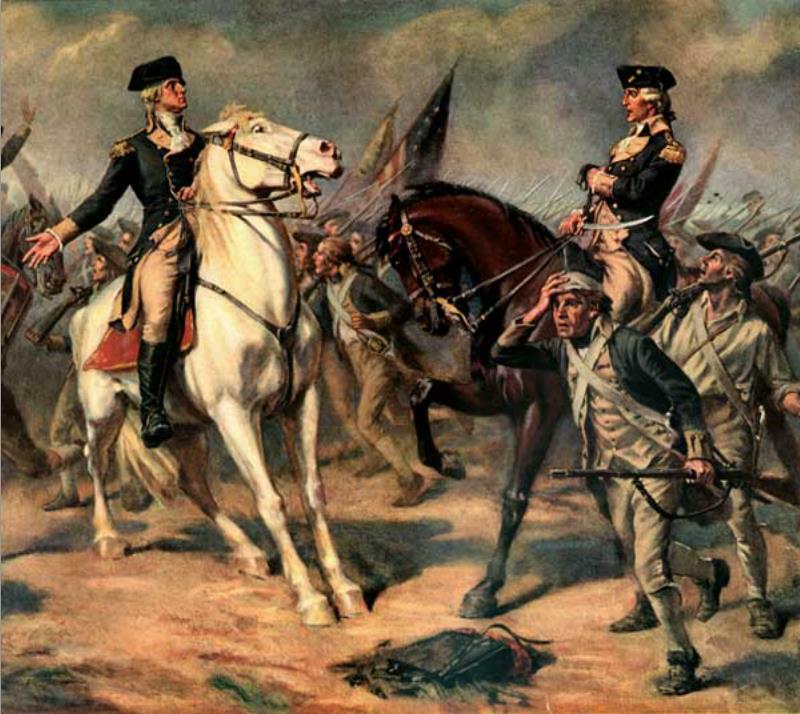 The next time Washington's army would face the British would be at Yorktown in the battle that would bring the war to an end.